This smooth, rich, and perfectly sweet vegan maple cream fudge has been a favorite on Go Dairy Free for many years. 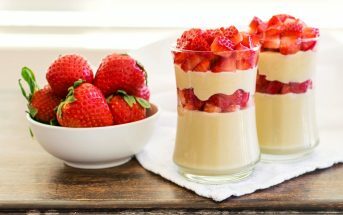 So I thought it was time for me to give this post an update with more detailed instructions and some recipe tips. 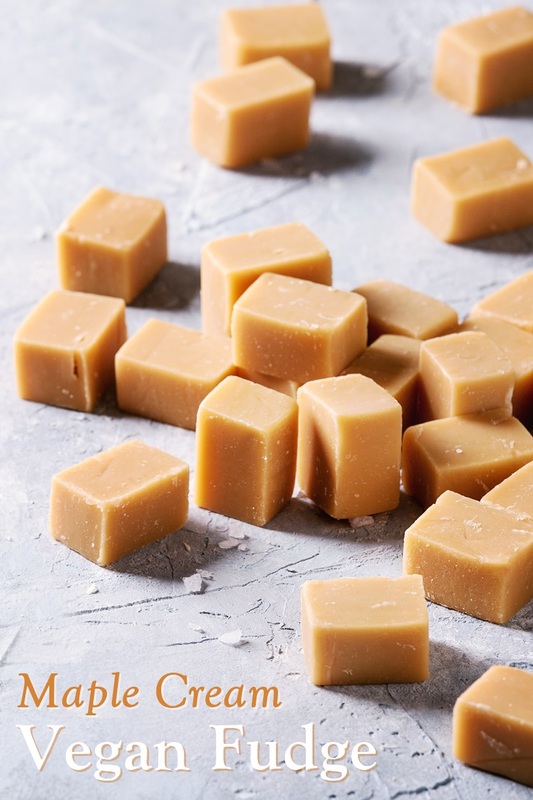 It’s not expensive, and a candy thermometer can mean the difference between creamy fudge and a sugary mess. If you drop a bit of the maple mixture into cold water and it forms a soft ball, this is the “soft ball stage.” But it can be easy to overshoot this stage, or to be uncertain on visual cues. A candy thermometer is a more accurate indicator that can help ensure that you don’t overshoot the goal. Most grocery stores sell candy thermometers, if you need one in a pinch. But you can also buy one online. As noted in the recipe, you should use regular, full-fat, canned coconut milk. To understand the difference between coconut milk and coconut milk beverage, see this post: What is Coconut Milk? And this is the time to splurge on real maple syrup. Maple-flavored syrup and pancake syrup usually have additives that could hinder good results. Go for the pure stuff! Making vegan maple cream fudge isn’t difficult, but it does involve a fair amount of waiting for heating and cooling. And ten to fifteen minutes can seem like a long time when mixing. But it’s essential for the creamy finish. That said, don’t over-mix! Once it reaches a thick, creamy frosting consistency and loses it’s gloss, press it into your pan and let it set. 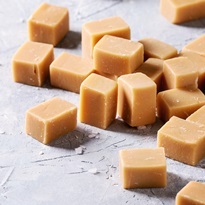 This rich, creamy fudge requires patience, but it is actually quite easy to whip up. Grease or line an 8x8-inch baking dish with parchment paper. Put the sugars, coconut milk, coconut oil, maple syrup, and salt in a medium saucepan. Place the pan over medium heat, and stir to combine as the mixture starts to boil. Reduce the heat (to avoid bubbling over) and let bubble the mixture reaches the soft ball stage on a candy thermometer (235 to 240ºF). Remove from the heat and whisk in the vanilla. Beat for 10 to 15 minutes until the mixture cools and thickens. (I recommend a stand mixer or beaters for this; see Note below.). It should thicken to a frosting consistency. Evenly press the mixture into your prepared dish. Let it cool completely before removing and cutting into 1-inch squares. If it is still a little soft at room temperature, you can refrigerate the fudge until firm. Note: Some of you had success with letting the mixture cool first, but a lot of you are having issues with that. So I've defaulted back to the original instructions. 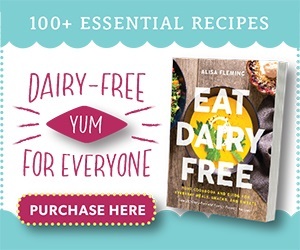 For More Must-Have Recipes, Get Go Dairy Free! Whoa – this looks amazing! It’s a little late for Christmas, but my family won’t mind at all having this after the Holidays :). This fudge looks absolutely delicious! I’m definitely going to add this to my Christmas goodies list. SO mine turned out to be a sugary mess like you mentioned in the tips. I used a candy thermometer, but on low the mixture was barely boiling and not rising in temp at all, so I turned it up to medium heat after almost an hour of trying to get it to softball stage. Is that where I messed up? After close to 20 minutes of mixing, it still was not the smooth frosting consistency you mentioned. It’s very grainy still. Hi Michelle, that’s odd. So you brought it to a boil over medium heat, and then reduced the heat so it was simmering, correct? It sounds like perhaps your stove is a little cooler – stoves can definitely vary – mine boils away even when turned down! You might want medium-low instead of low. It does sound like perhaps it was cooked a bit too long. Mine was a sugary mess too. So much time and effort just to toss it out. Sad. Followed everything to a tee…mixture wouldn’t get up to soft ball unless I turned up the heat. It was a sugary mess. Alas, so much time, effort and money down the drain. Sad. Hi Tiffany, I’m so sorry it isn’t working for you! Candy can be finicky. So did you get it up to the soft ball stage? Then beat until smooth – this part can take very long. Next time, rather than toss it, you can add more liquid and bubble it again. Grainy fudge can be fixed! Some other things that can damage results: high humidity (yes, the weather!) and sugar crystals on the pan. 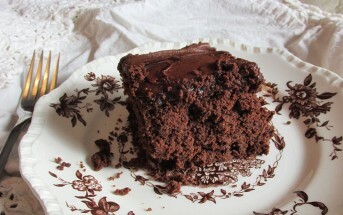 I’m going to make this fudge again today and see if I can’t help with some trouble-shooting tips. Can I replace the sugars in your recipe with cane sugar and coconut sugar? Also, ⅓ cup coconut oil be replaced with 1/3 cup melted cocao butter? Thanks so much for the recipe. I can’t make any guarantees on the coconut sugar swap. 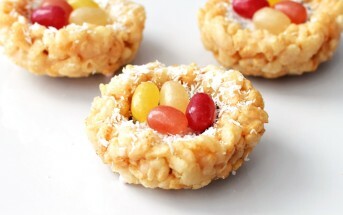 It might work well, or it might not – I haven’t done much candy making with coconut sugar. It will likely taste scrumptious no matter what though! You should be able to sub food-grade cocoa butter for the coconut oil, but the fudge will set up more firmly. My mom was a chocolate fudge maker so perhaps it’s in my genes? 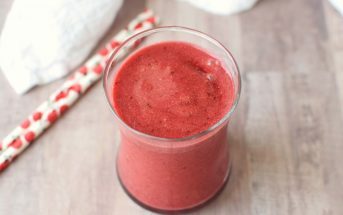 This looks wonderful and I’m dying to give it a try! I think it must be! Fudge is awesome – all types. Period. 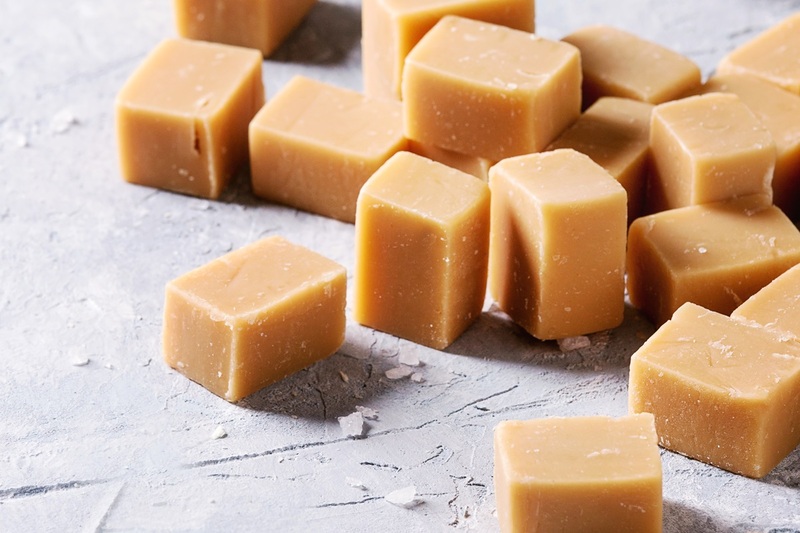 This maple cream fudge looks perfectly delicious! What a great idea for gift-giving at the holidays! Just made these this morning. Boiled for 2 minutes. Simmered for quite a while to reach 235 degrees and waited about fifteen minutes for syrup to cool to 110 degrees prior to beating it. Results were perfect! Smooth, firm, creamy tasting fudge which holds its shape beautifully and looks magnificent 🙂 Being a lifelong vegetarian who is newer to veganism, my brain has not yet fully habituated to the taste of coconut in place of butter or vegan butter. 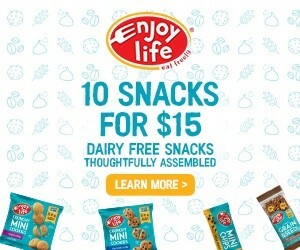 I refuse to go back to dairy, but wondered if a vegan butter could be substituted for the coconut oil? Has anyone tried this? Thanks for a fabulous new go to recipe! So glad you enjoyed the recipe Tara! It will taste good with the vegan butter, but won’t set up quite as firmly. I’m beginning to know this recipe by heart. Making 100 squares of it to sell at a local French Canadian cabane à sucre at our annual winter carnival this weekend . Turning out great 👍 the secret is to whip it good ! Awesome. And thanks for sharing your “secret” Sophie! Very delicious! I let the fudge cool awhile before mixing (like another poster suggested) and it hardened a lot faster! The taste of the fudge is great. However, it didn’t set in my case. I followed the recipe and beat it for >30min, but it’s still too creamy and I can’t cut it. Do you have suggestions? Hi Philipp, so sorry for my delay. It should set up if you used a full-fat coconut milk (not coconut milk beverage). It’s also best not to over-mix the fudge. 30 minutes is a bit long. This fudge is delicious. I added some chopped pecan nuts just because that was what I fancied, and also cooled the mixture down in a bowl of cold water before starting to beat it, but otherwise stuck to the recipe as stated. Thanks so much for sharing your feedback and tips Holly! How long is this fudge good for? Does it need to be store in an airtight container and/or in the fridge? Thank you! It should keep for up to one week in the refrigerator Melinda, but can also be frozen. Please clarify….Is this coconut milk in the dairy section, e.g. Silk or So Delicious brand, or the kind in the can that is thicker, or fresh coconut milk? Hi Linda, it’s real coconut milk – like in a can or small carton. If it were a coconut milk beverage we would put “milk beverage” or “milk alternative”. This fudge is really good, but also a tad oily. I would reduce the coconut oil to 1/4 cup. Also, I waited until the fudge had cooled to 110º F to beat it, because waiting until 110º F will keep large crystals from forming and destroying the batch. Very good flavor and texture. Thanks for sharing your modification Olivia!